Oklahoma improved but retained a low ranking on average student scores on the 2013 National Assessment of Educational Progress, the most closely watched national measure of student achievement. Oklahoma 4th and 8th-graders’ scores in reading and 4th graders’ scores in math improved slightly over 2011, but 8th grade math scores slipped. 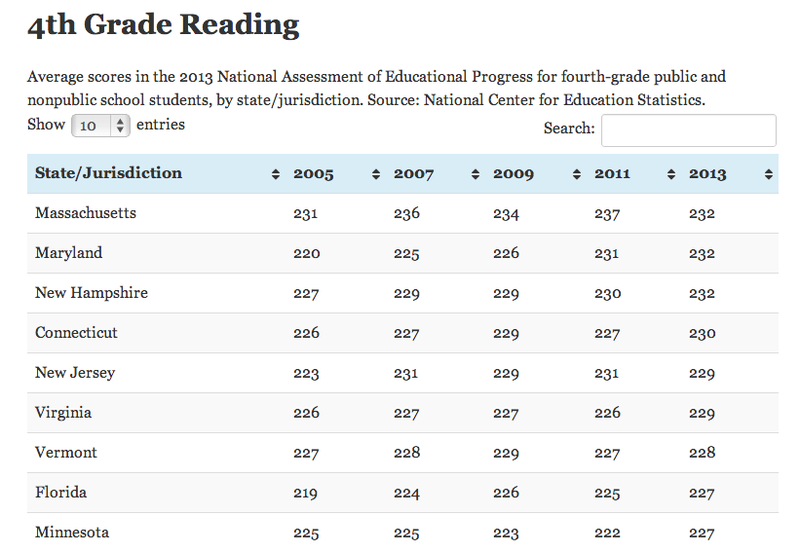 In both grades on both assessments, about 40 states posted higher average scores than Oklahoma. You can find patterns on your own. Re-order the table by clicking on column headings. Search by year or state. Let us know what you find by posting a comment.